Slingshot Rentals LV, Experience your Slingshot adventure! 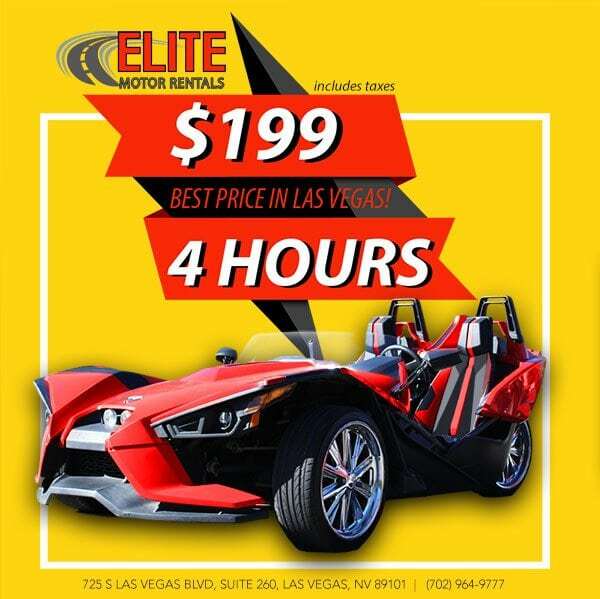 Number 1 Polaris Slingshot Rentals in Las Vegas! Renting a Slingshot in Las Vegas is one of the best ways to see the city in style! 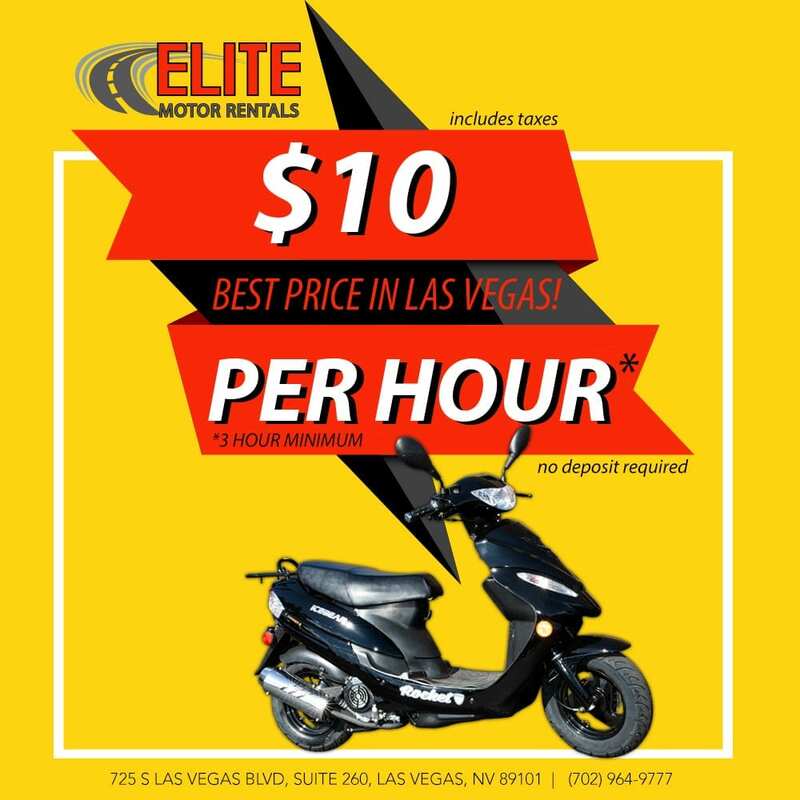 Elite Motor Rentals is here to help you achieve a memorable experience! Whether it's a first date, bachelor party, or a family outing, Elite Motors will go above and beyond your expectations to make sure that you have an experience that you will never forget! Book Your Polaris Slingshot Experience Now! 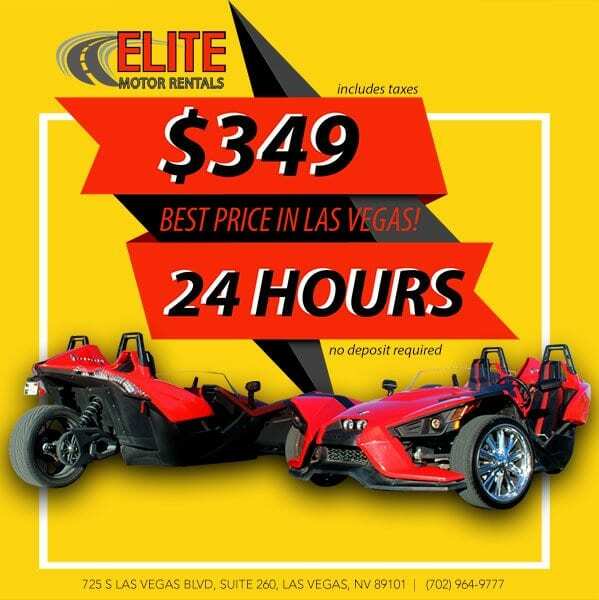 Elite Motor Rentals is the premier Polaris Slingshot rental company in Las Vegas, Nevada. 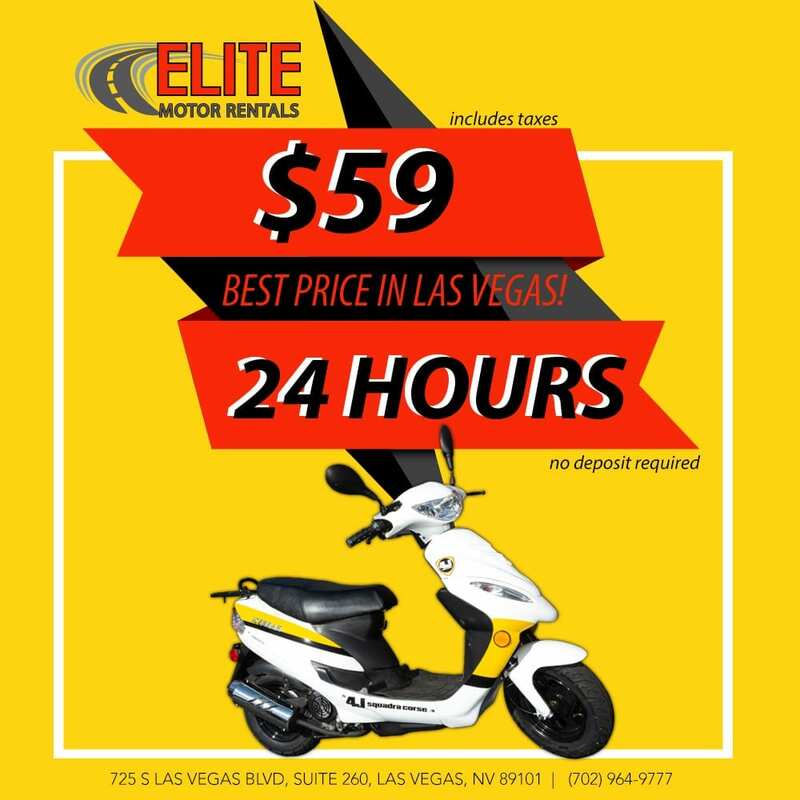 Elite Motor Rentals is here to help you achieve an unforgettable experience without having the obligation to purchase this thrilling machine. Driving a slingshot gives you the feeling of being an Indy race car driver, taking a joy ride around the city. 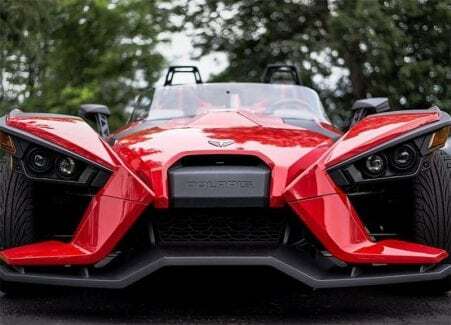 When you are behind the wheel of a Polaris Slingshot, you get to enjoy the open road knowing that you are securely nestled inside of the 2 seat cockpit where the riders are side by side from each other so that they may enjoy the scenic views of Nevada and its surrounding cities. 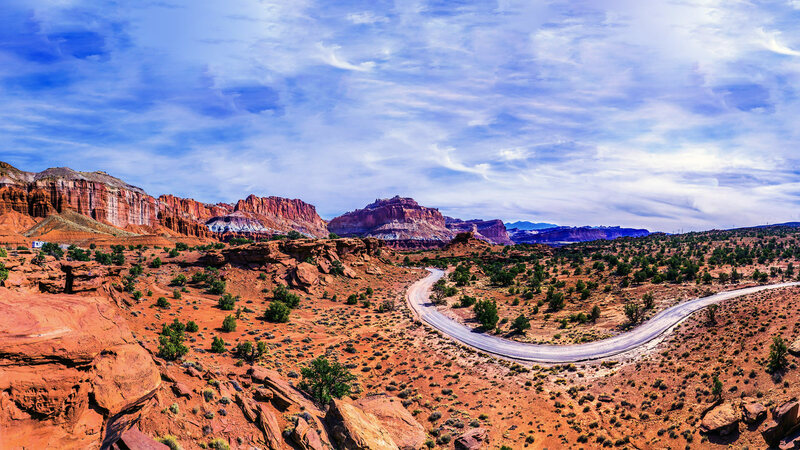 Elite Motor Rentals is excited to offer GPS guided tours to the Hoover Dam, Red Rock Canyon, Valley of Fire and other amazing Las Vegas scenic destinations. 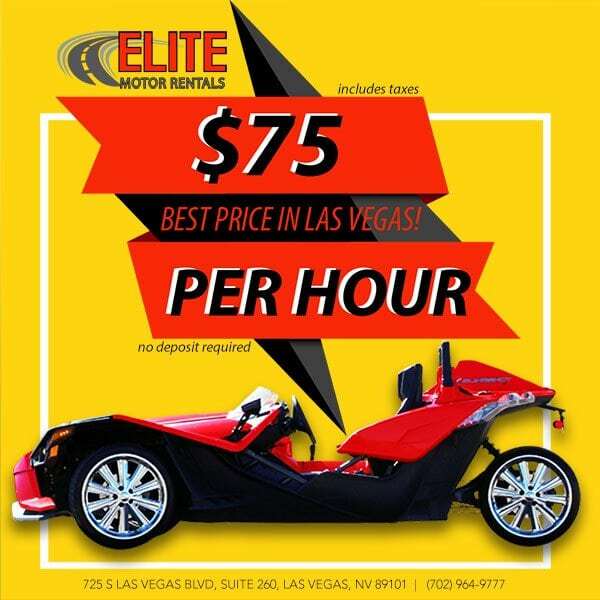 Elite Motor Rentals is currently at their new location which is situated at Palm Plaza 725 S Las Vegas Blvd, Suite 260, Las Vegas, NV 89101. Call (702) 964-9777 to schedule your rental today! You may also schedule your reservation through our website!